Kreston Reeves is hosting Finance Focus 2019, a practical and complimentary business breakfast briefing in Horsham on Thursday 25 April, to guide company directors, owners, financial managers and others through a practical set of actions for the coming financial year, enabling attendees to maximise opportunities for business innovation and growth - whatever the UK’s status in, or out, of the EU. This popular annual event will focus on covering how businesses can best respond to the current economic and political landscape. It is a great opportunity to hear from experienced business leaders sharing insight and experiences and is designed to help key individuals within a business to focus on what’s important and make more confident decisions for the future. Richard Spofforth, Partner at Kreston Reeves comments: “Ahead of this year’s events we find ourselves in an unprecedented position with opposing views trying to predict the months and years ahead for the UK economy. Clarity is in short supply and some businesses are struggling to navigate a way forward. Responding to the changing economic landscape –by guest speaker Mike Herd, Executive Director, Sussex Innovation Centre. Funding for growth – how to raise finance, including sourcing and securing funding, in the current economic environment. Tax planning for the year ahead – planning opportunities for those running entrepreneurial organisations. The event takes place at South Lodge Hotel and starts at 8am and finishes at 10.30am and will end with a Q&A panel discussion, refreshments and networking. 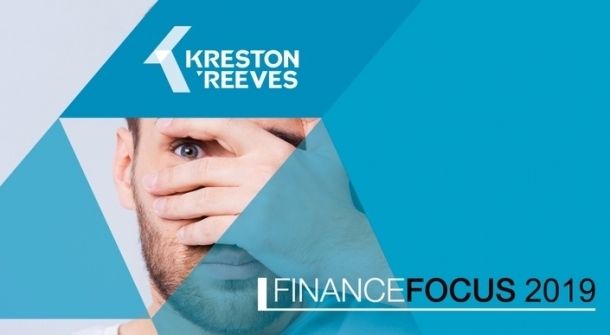 To book a place go to https://www.krestonreeves.com/news-and-events/04/05/1995/finance-focus-2019-sussex-1 or call Ella Parsons on 0330 124 1399.